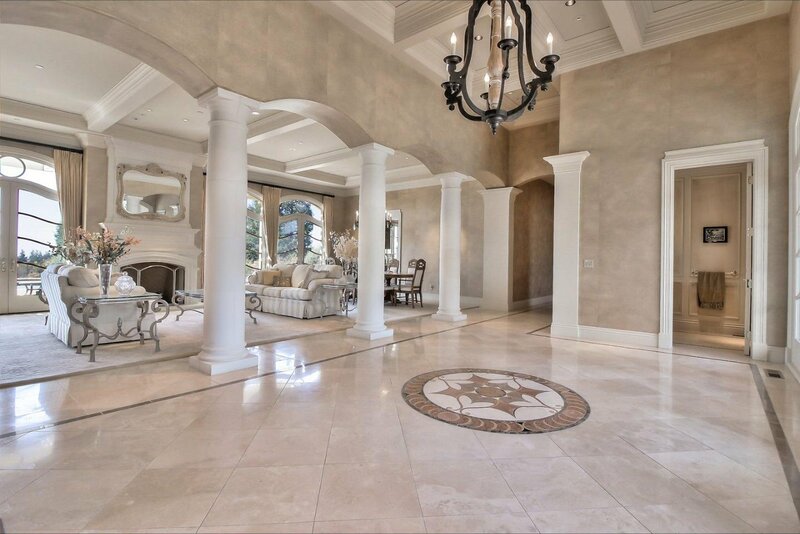 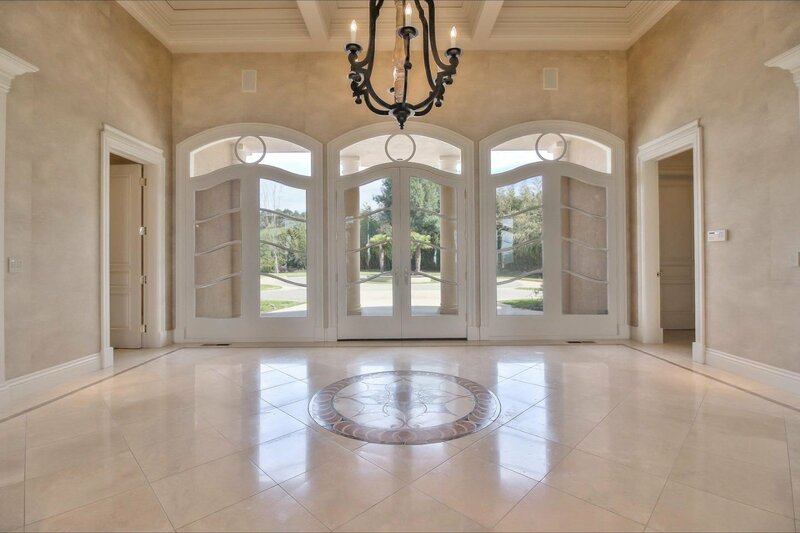 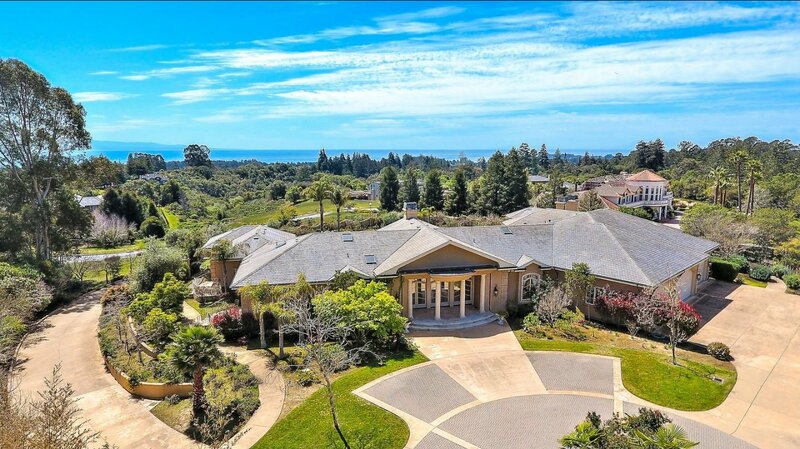 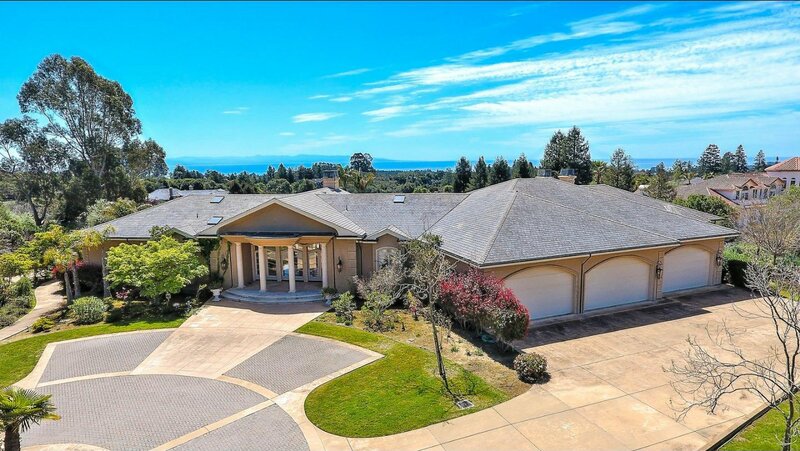 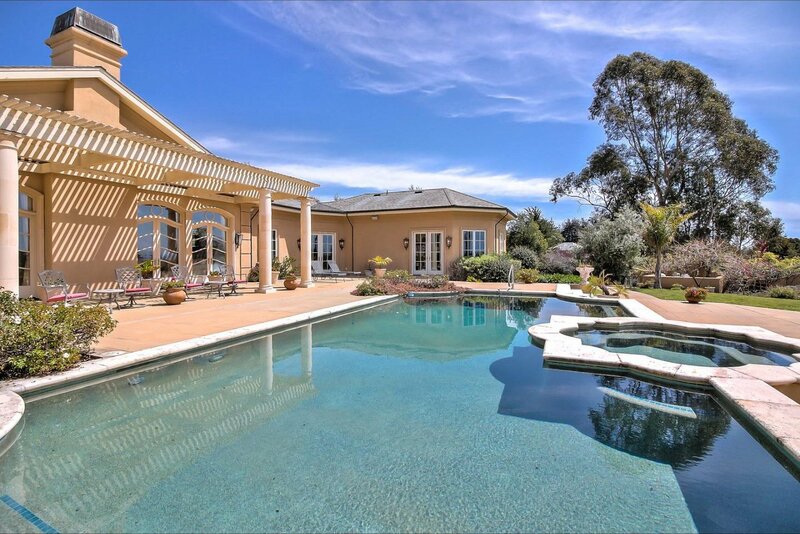 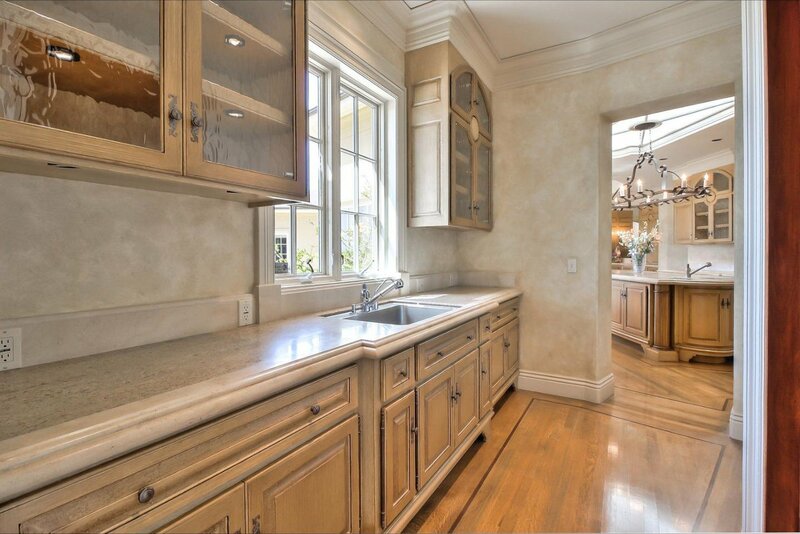 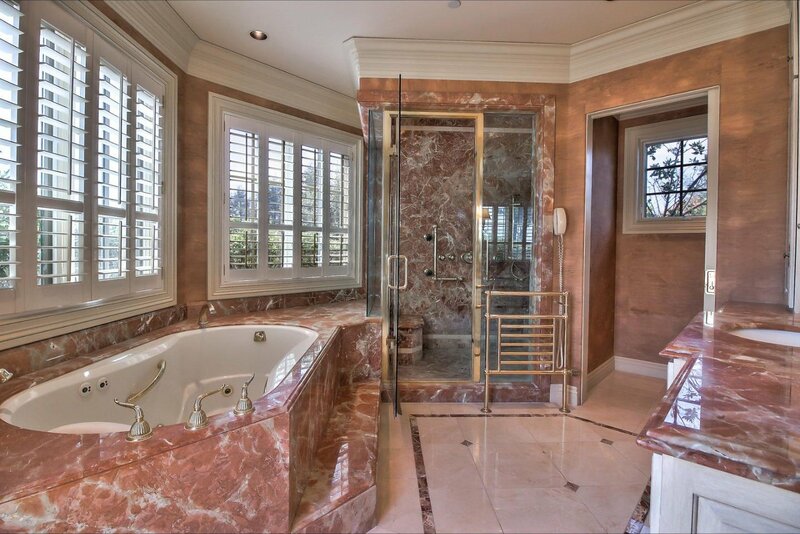 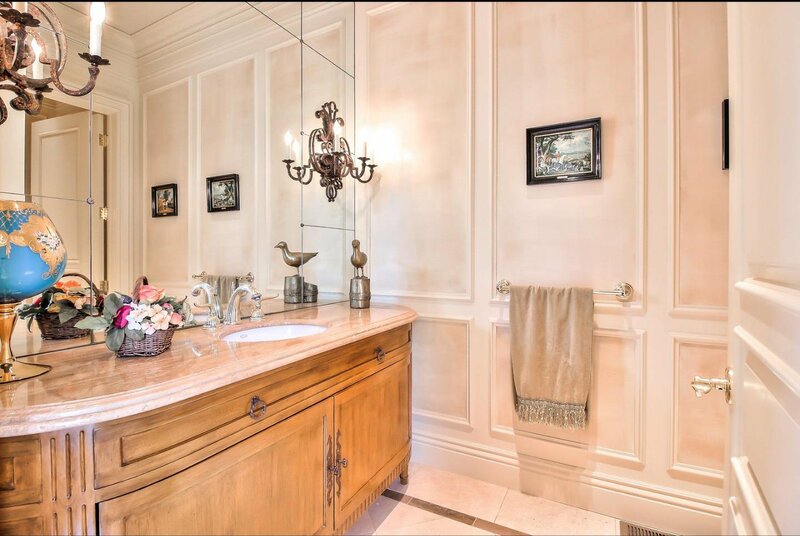 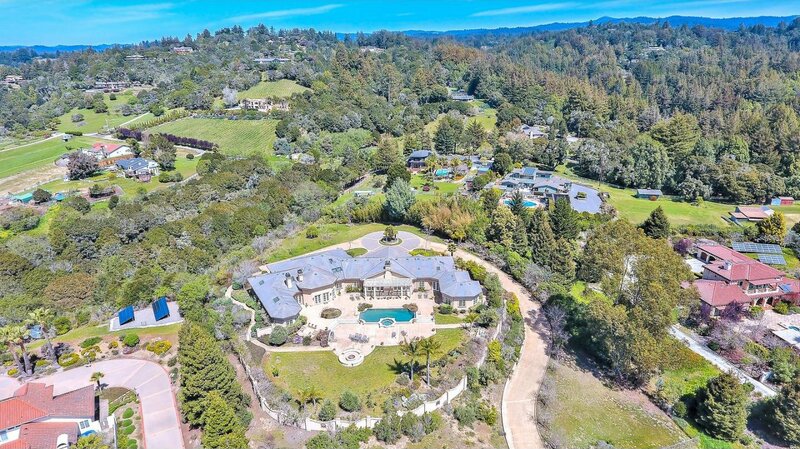 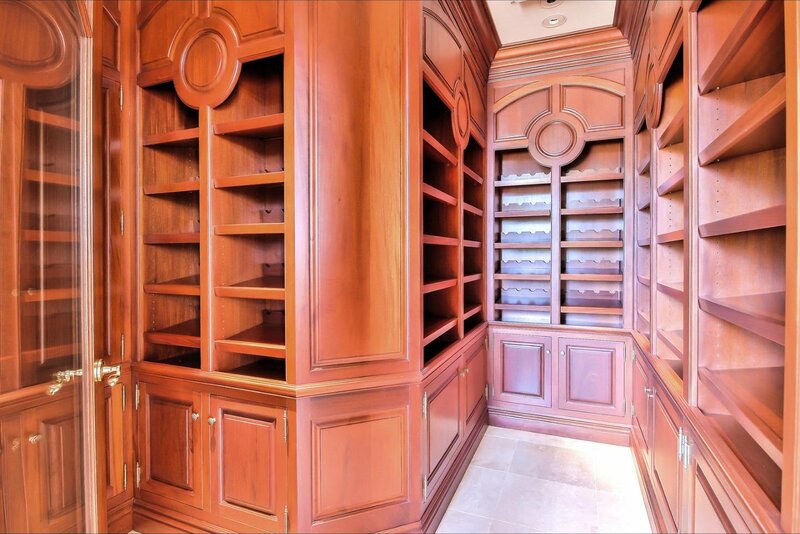 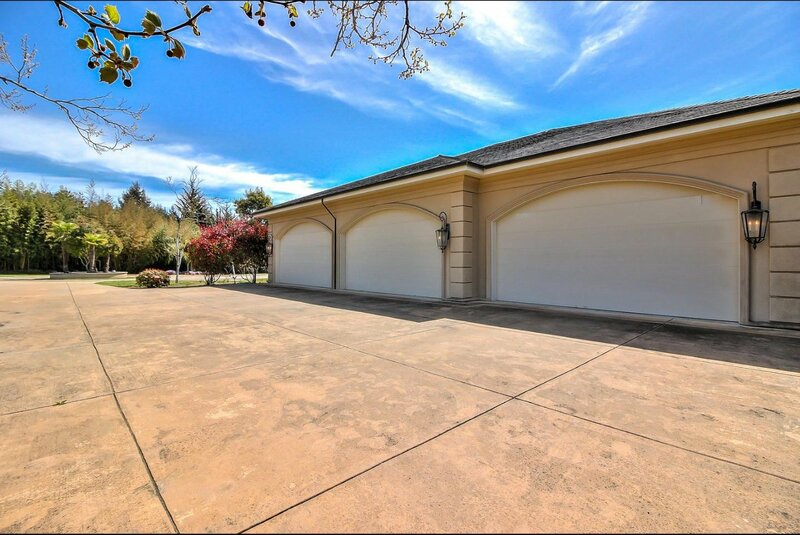 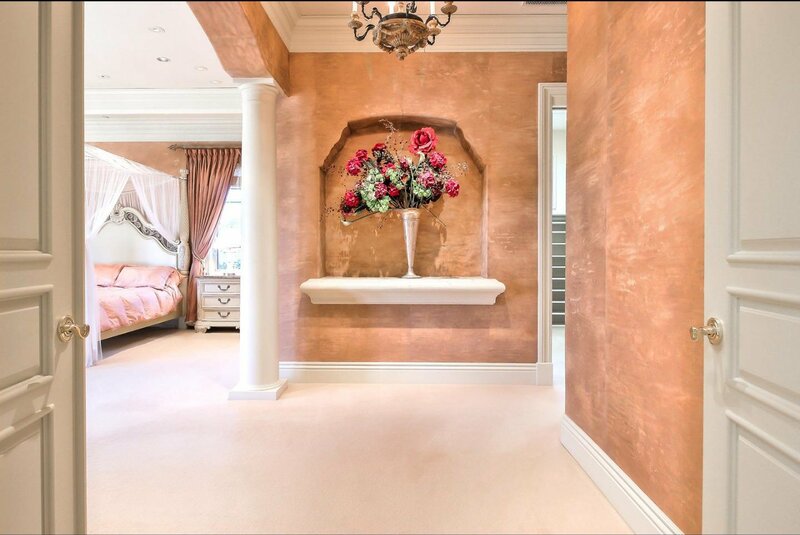 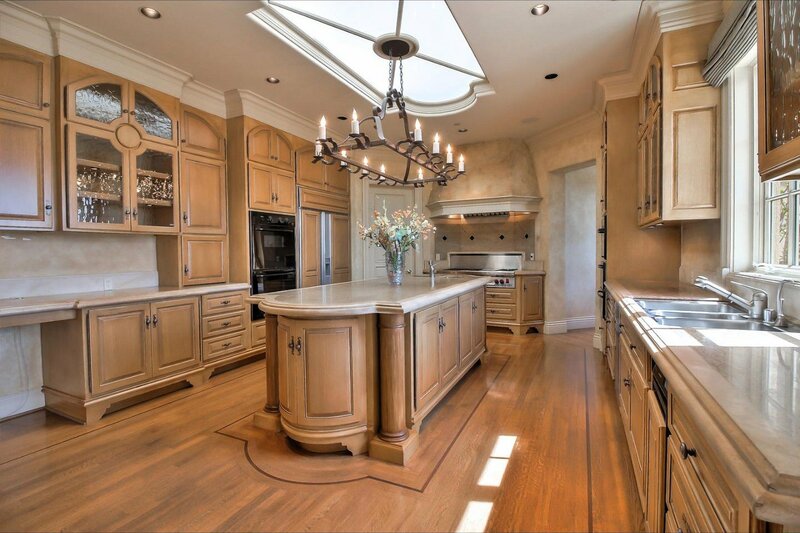 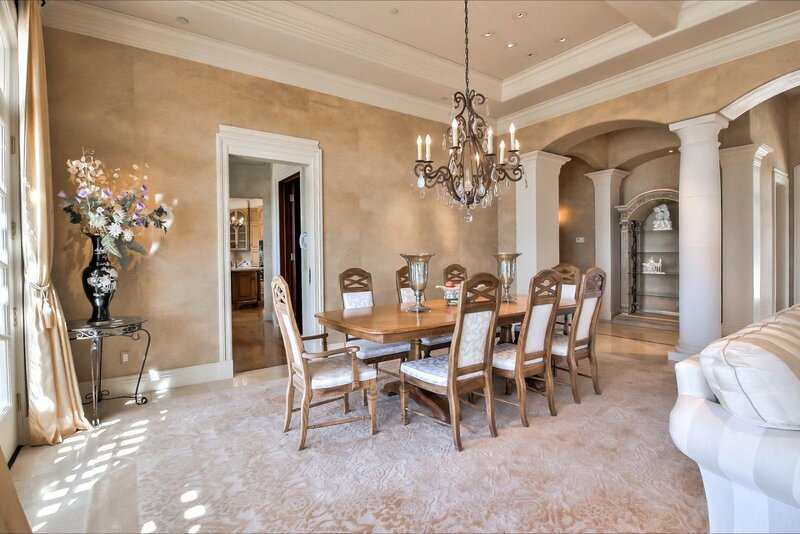 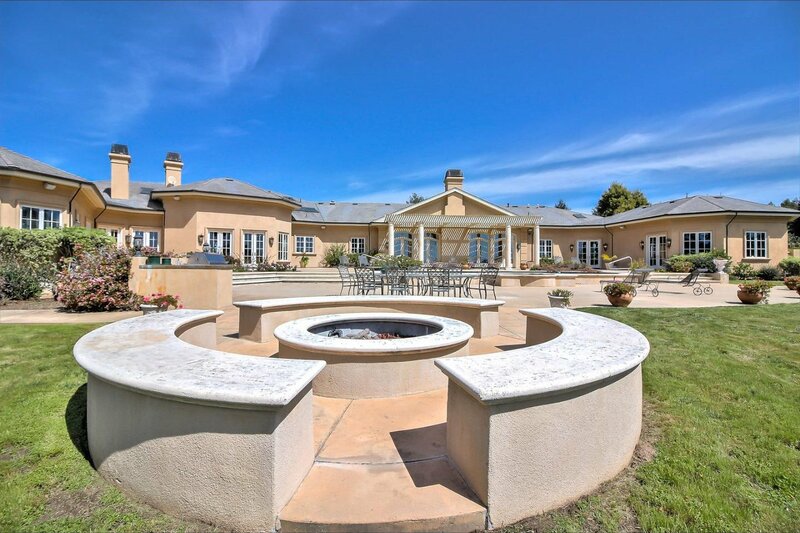 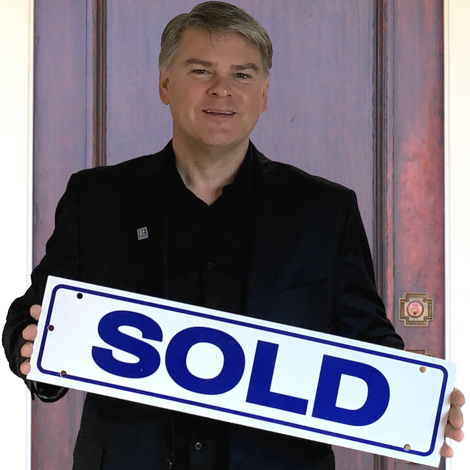 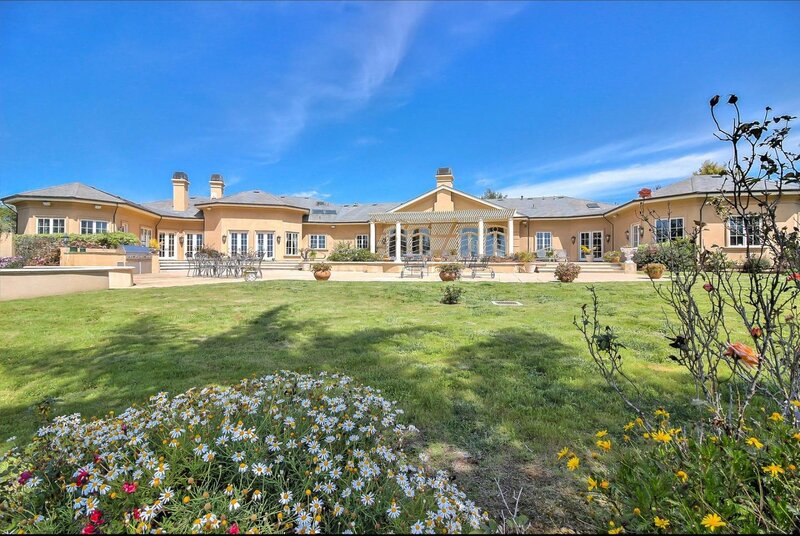 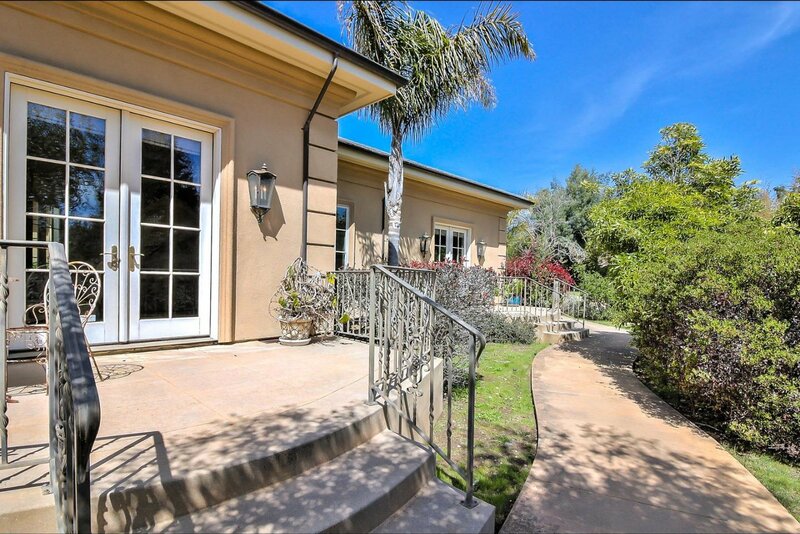 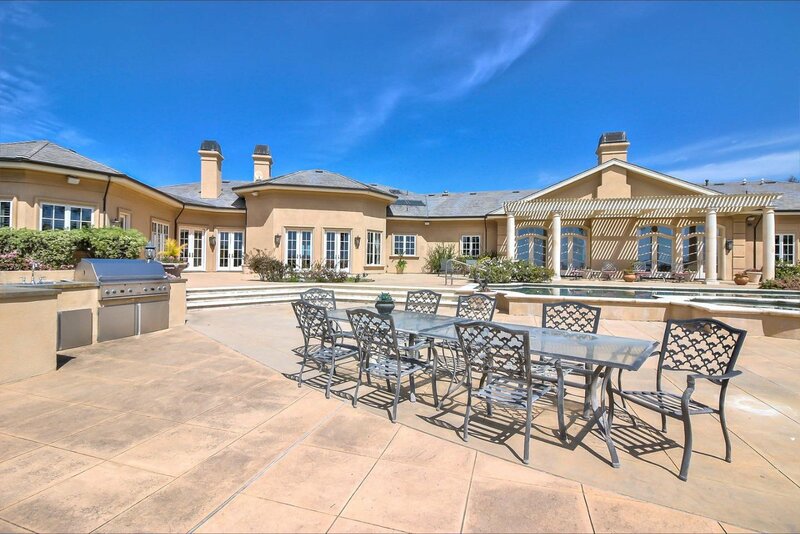 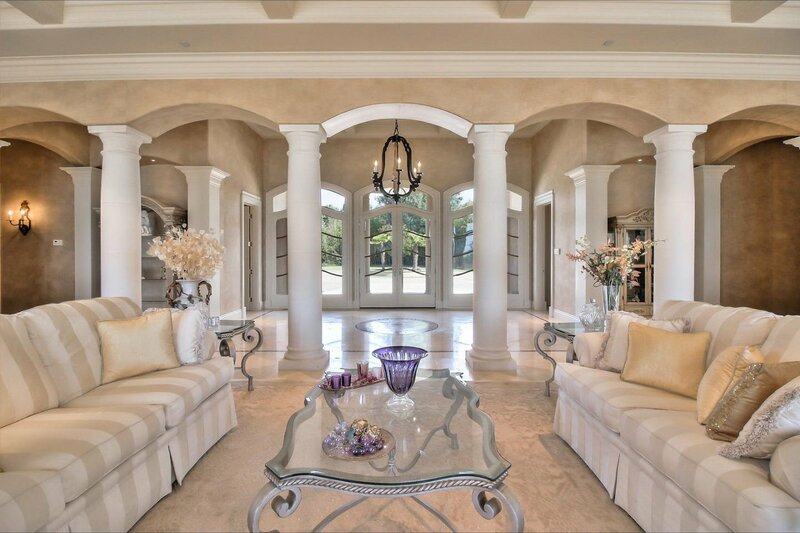 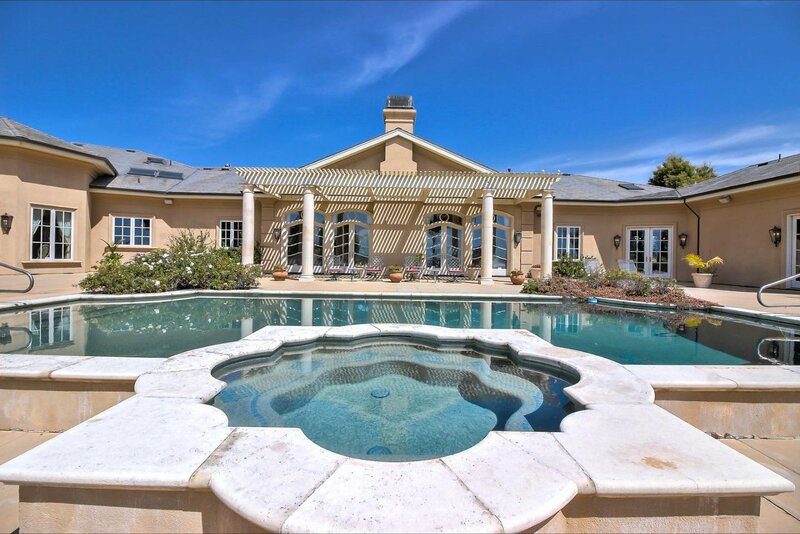 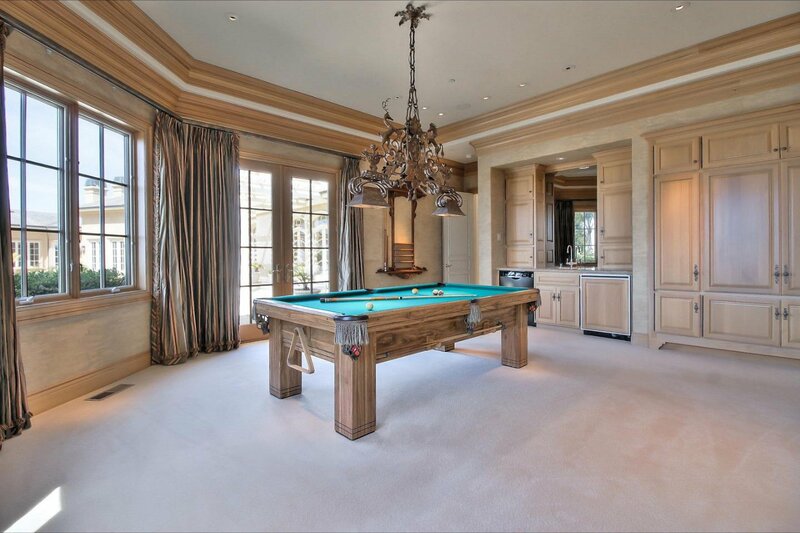 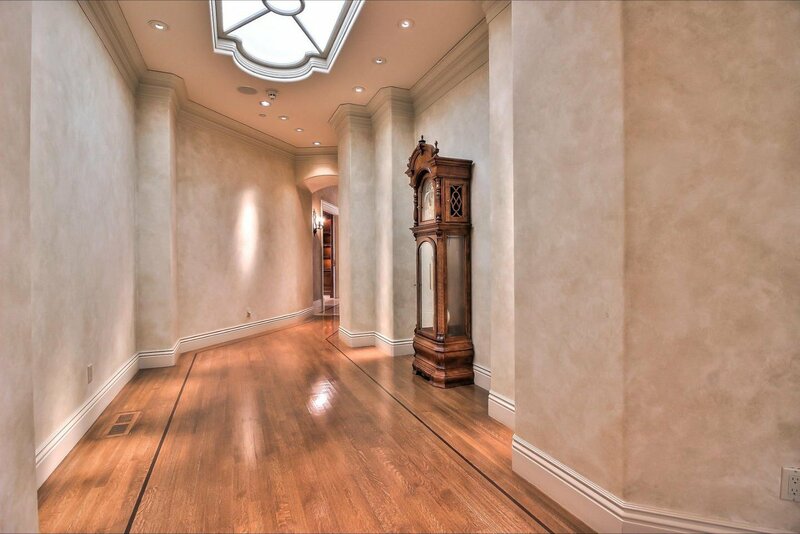 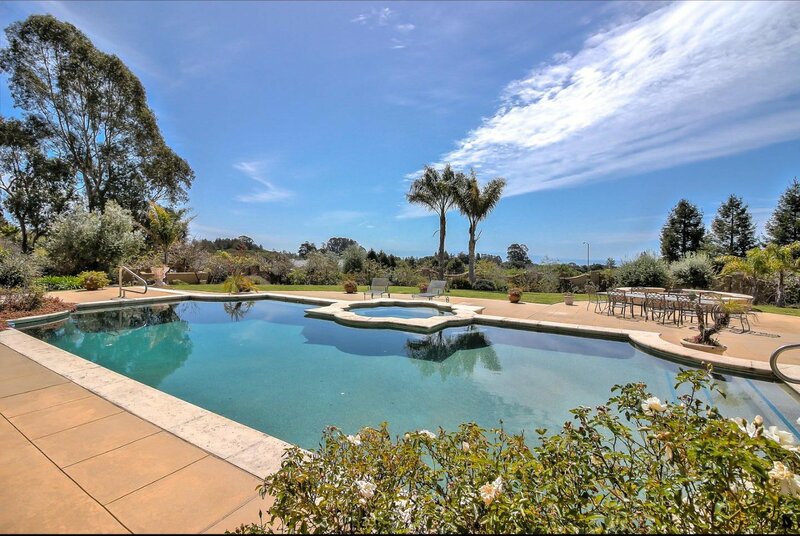 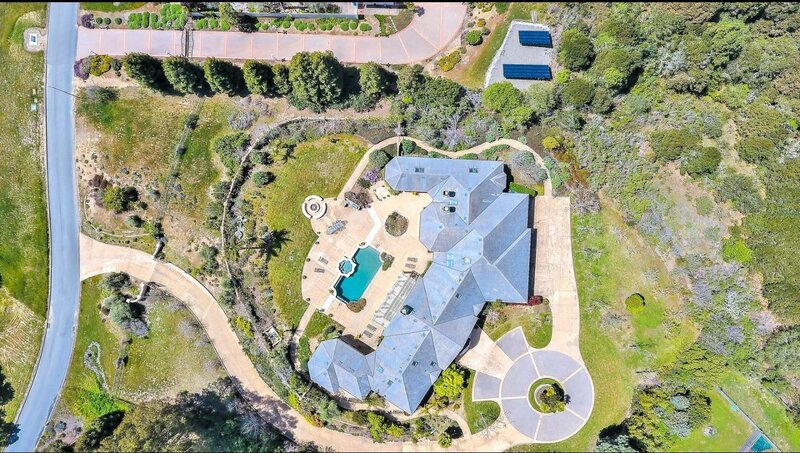 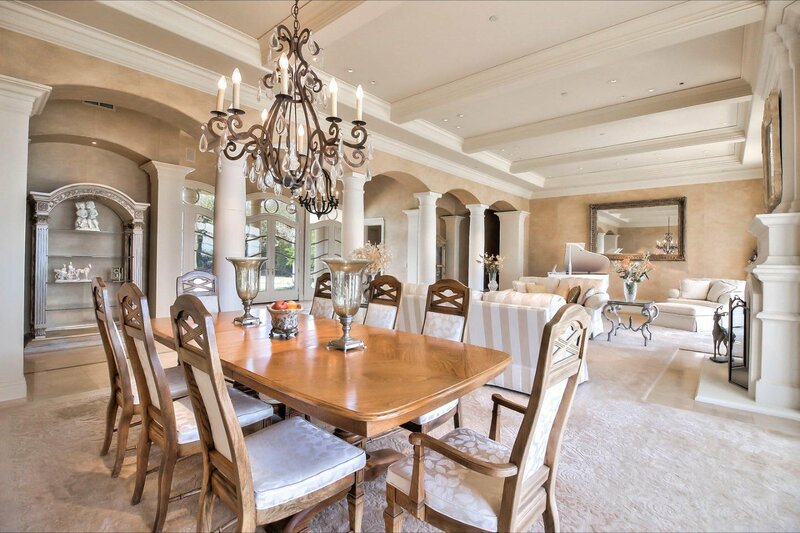 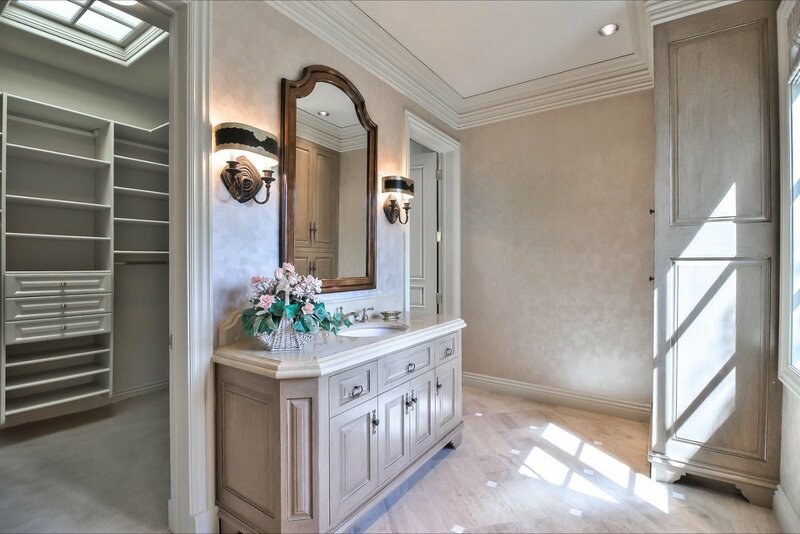 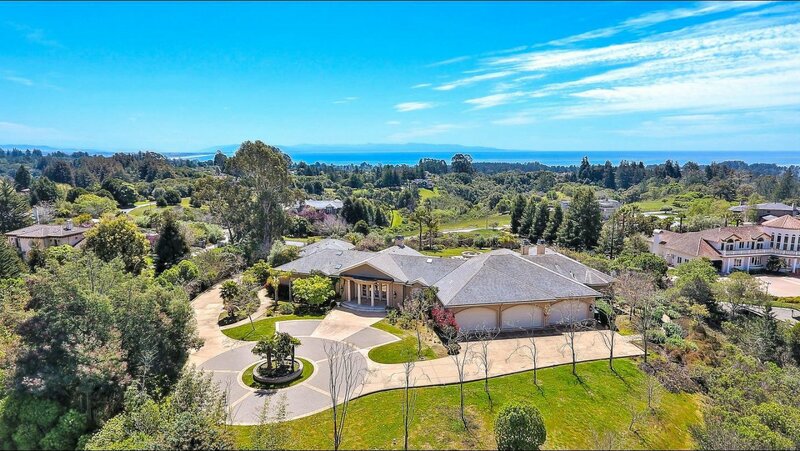 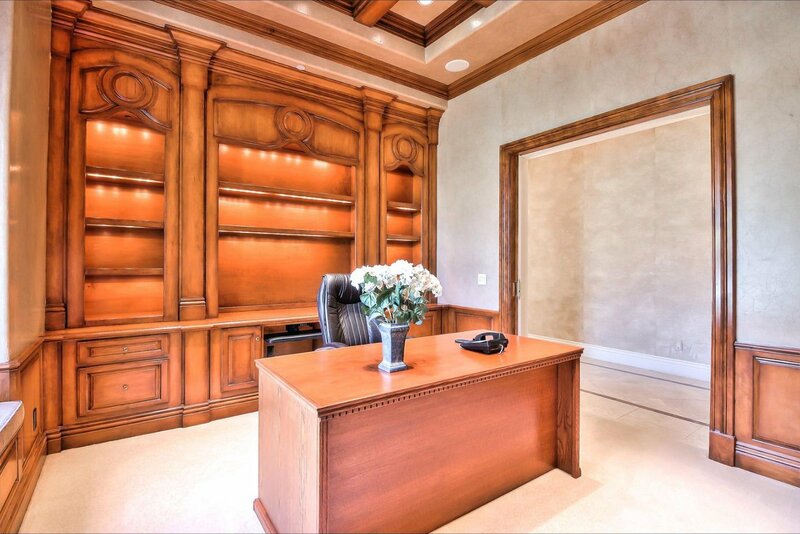 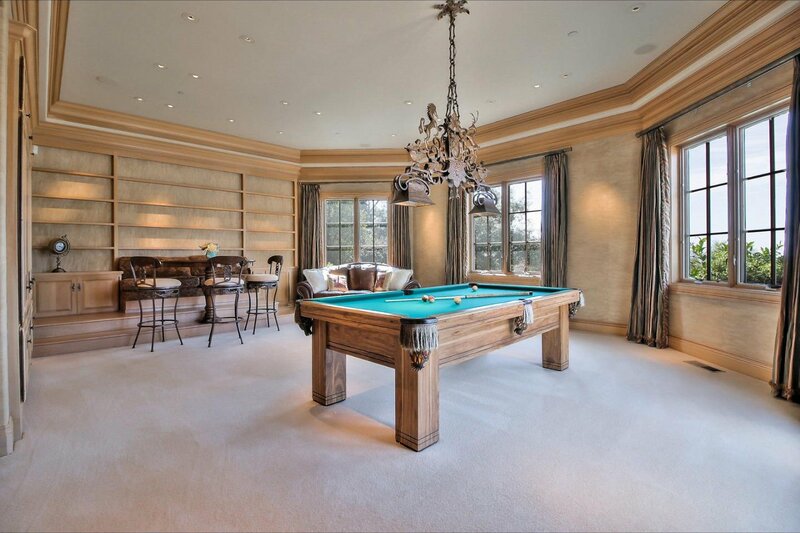 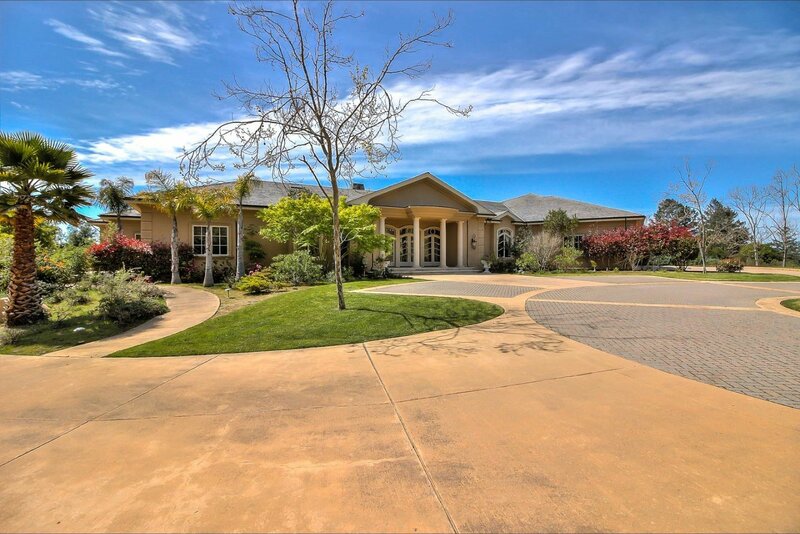 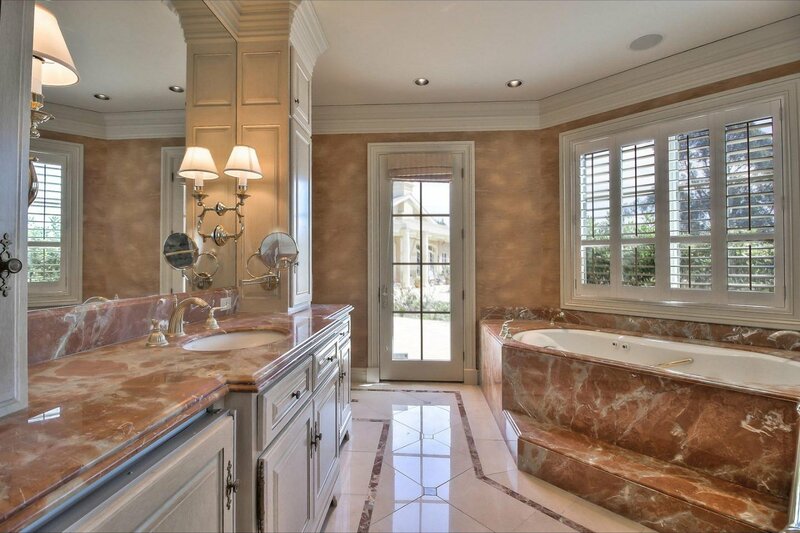 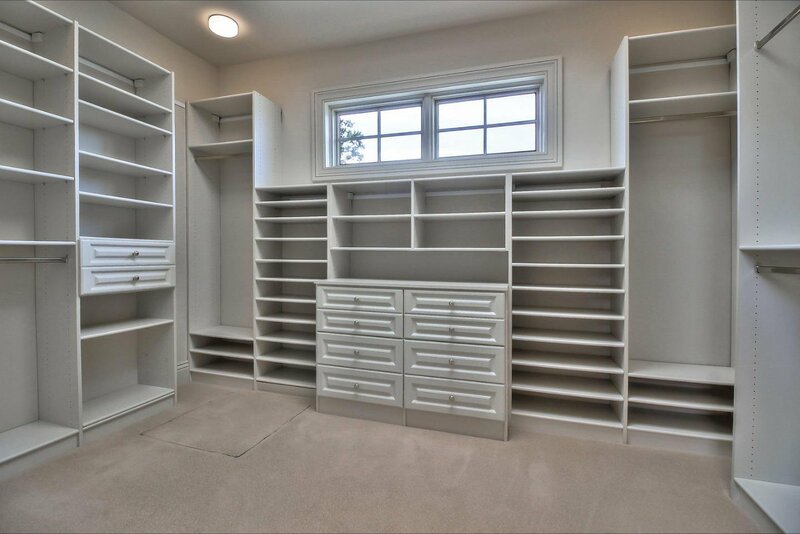 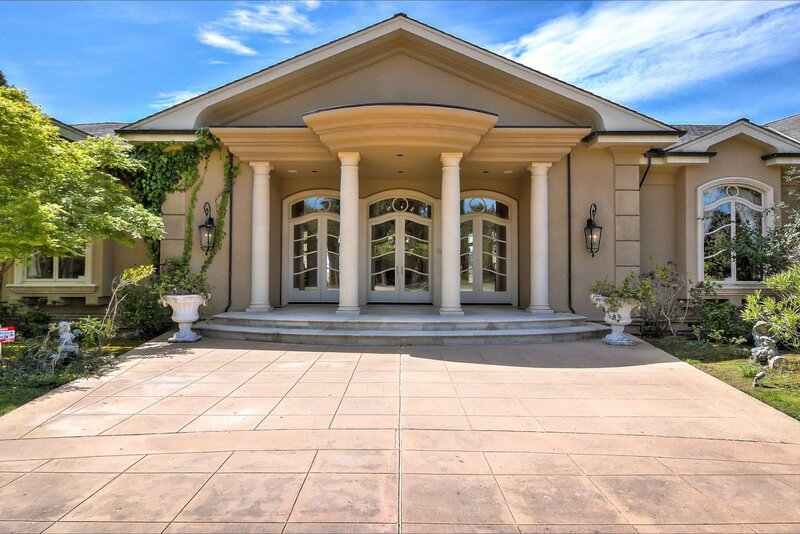 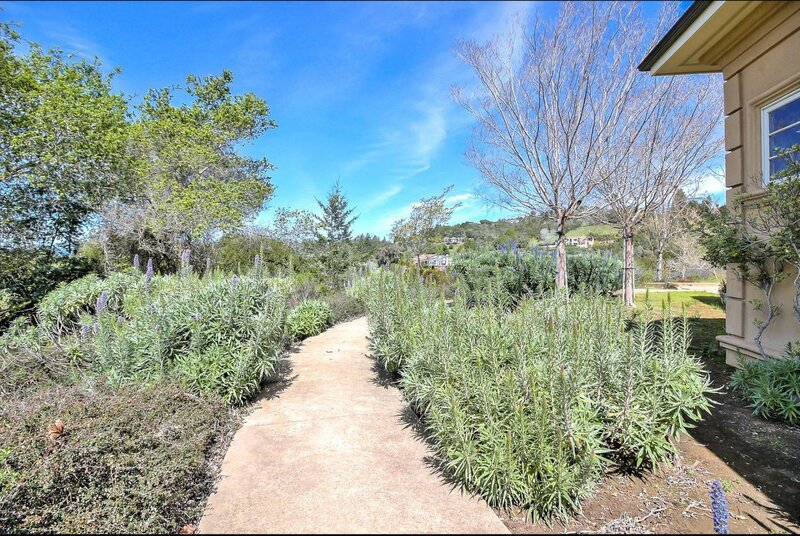 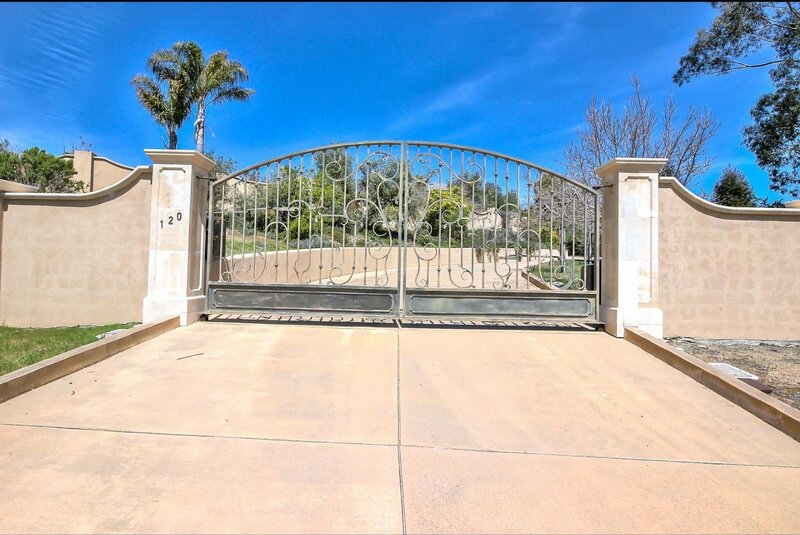 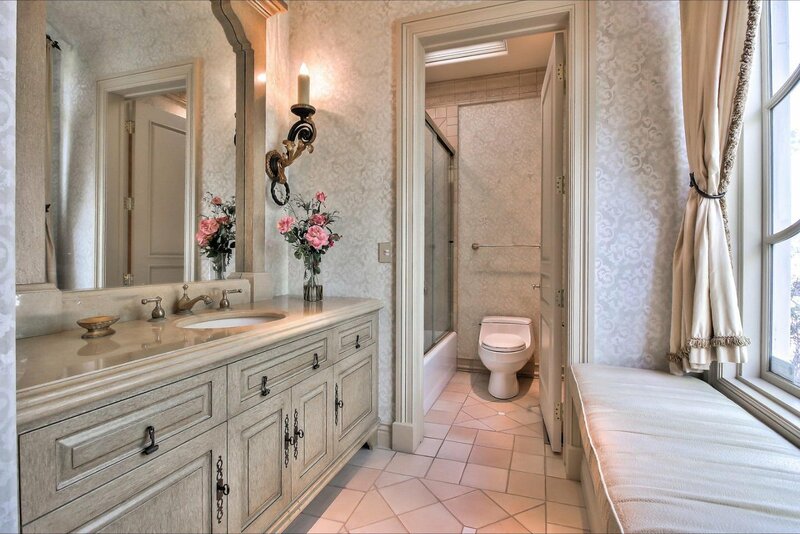 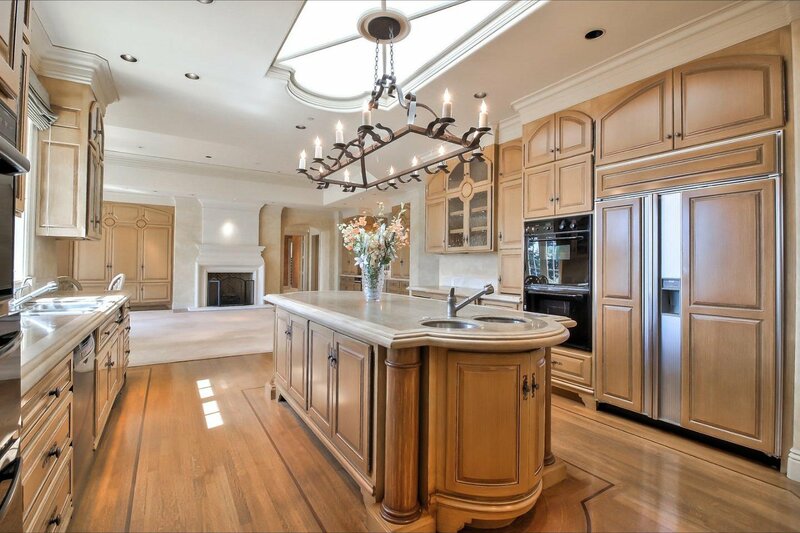 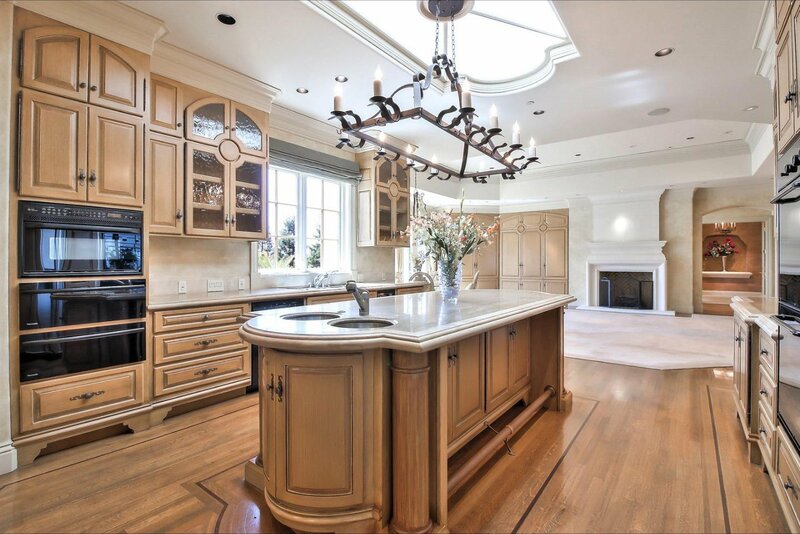 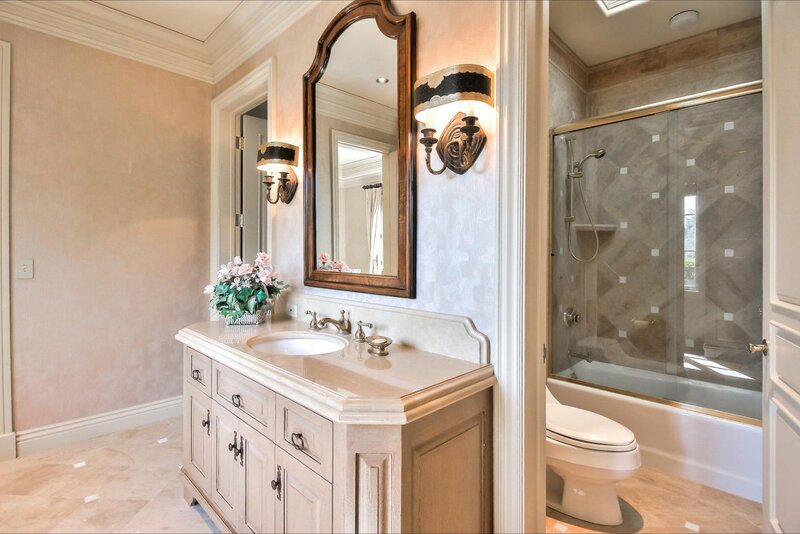 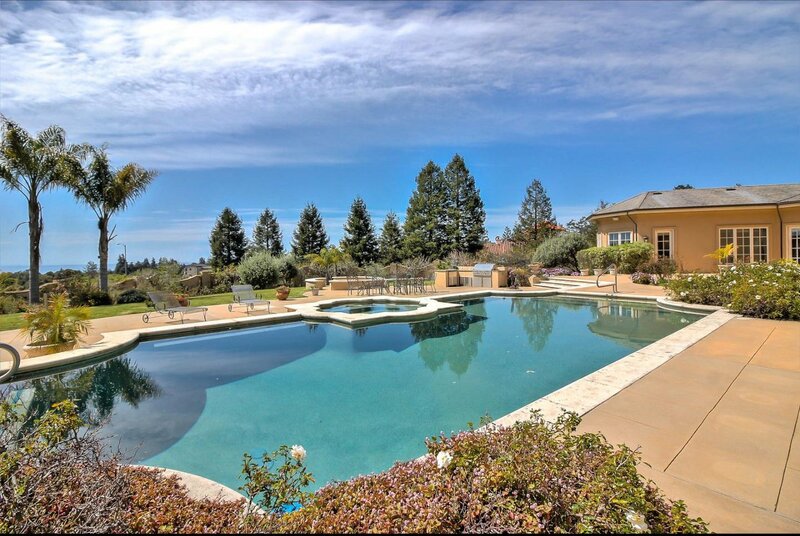 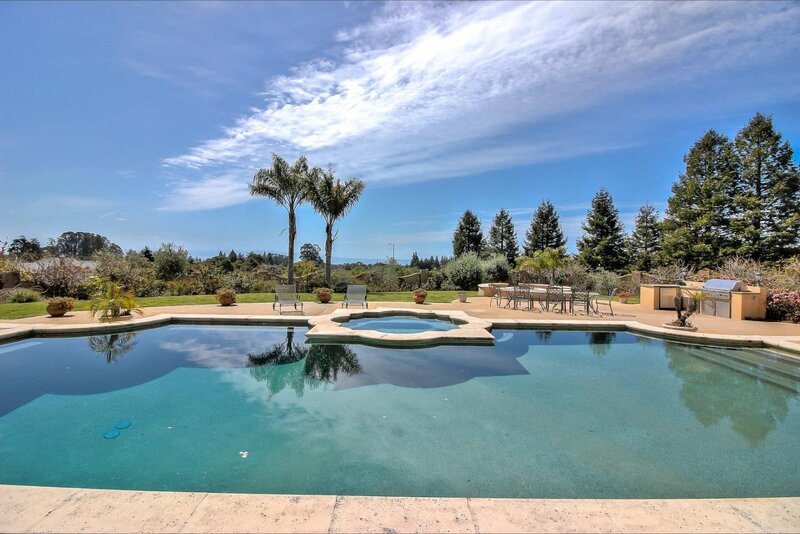 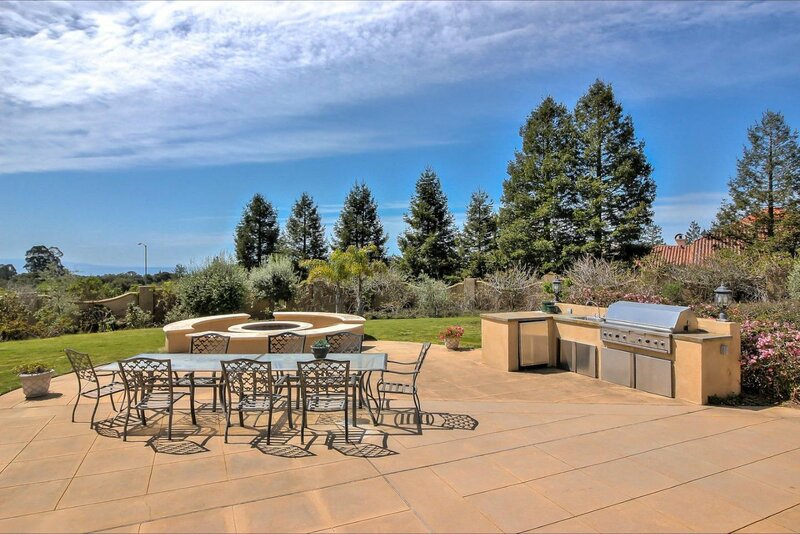 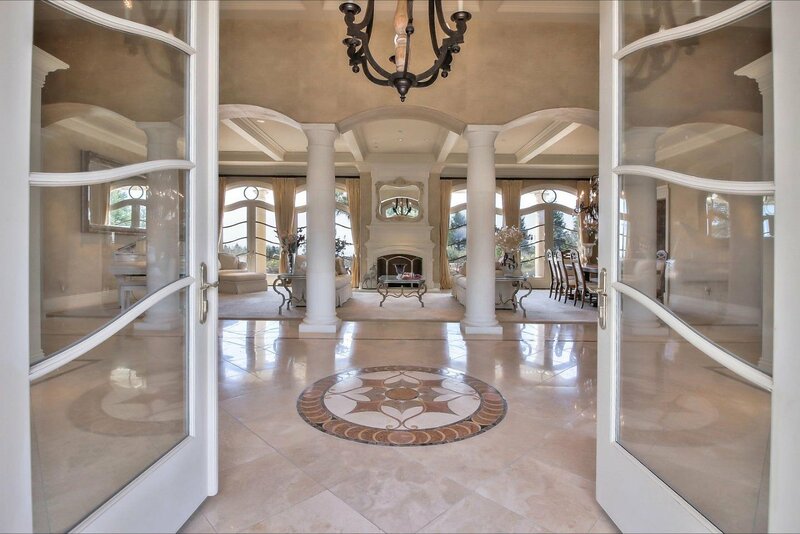 Luxurious gated estate nestled in the prestigious hills of Aptos. 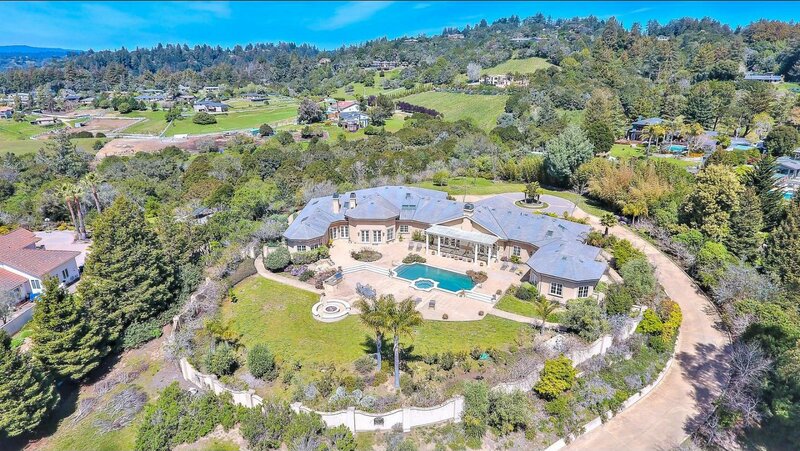 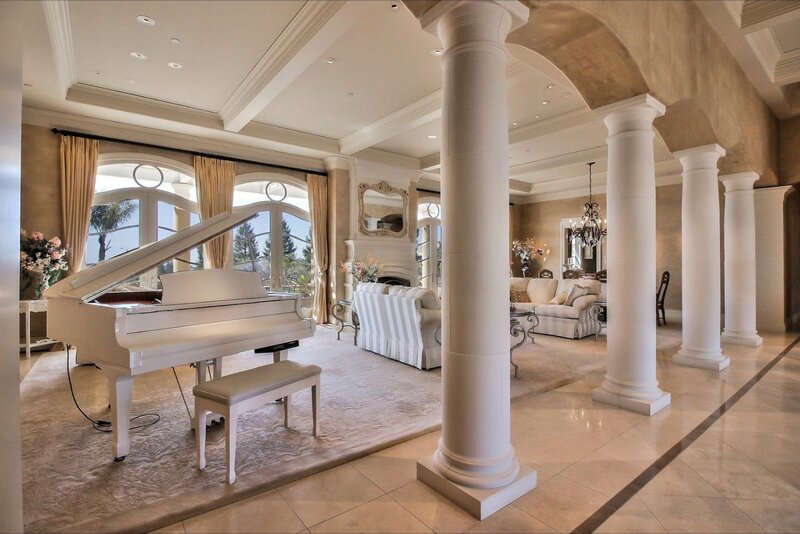 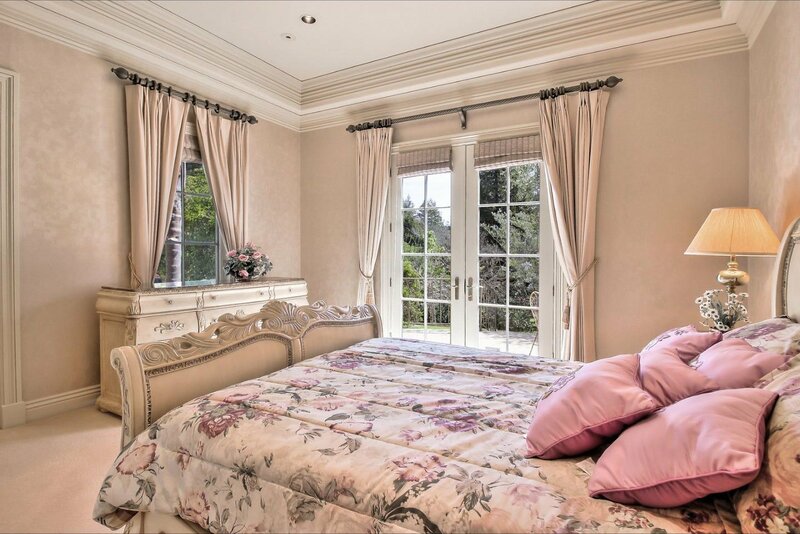 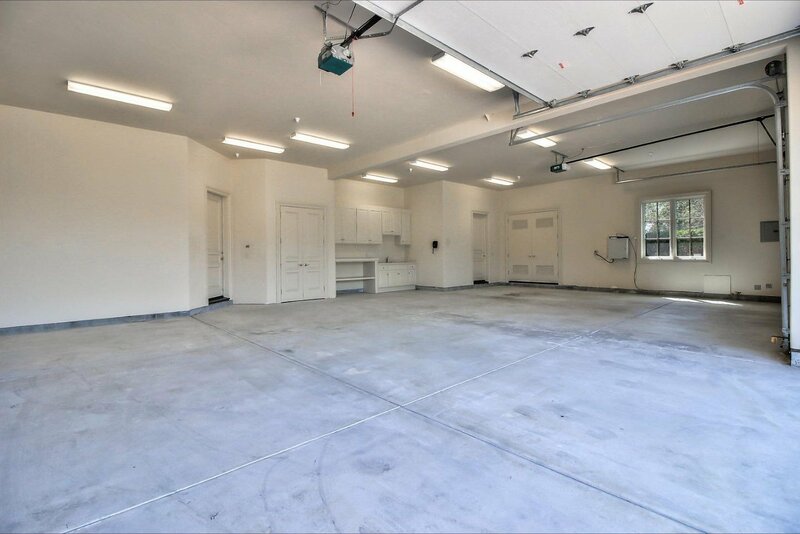 This single level masterpiece with approximately 7,260 sf, almost 2.5 acres of elegant grounds, breathtaking views and privacy is ideally situated between Carmel and Silicon Valley. 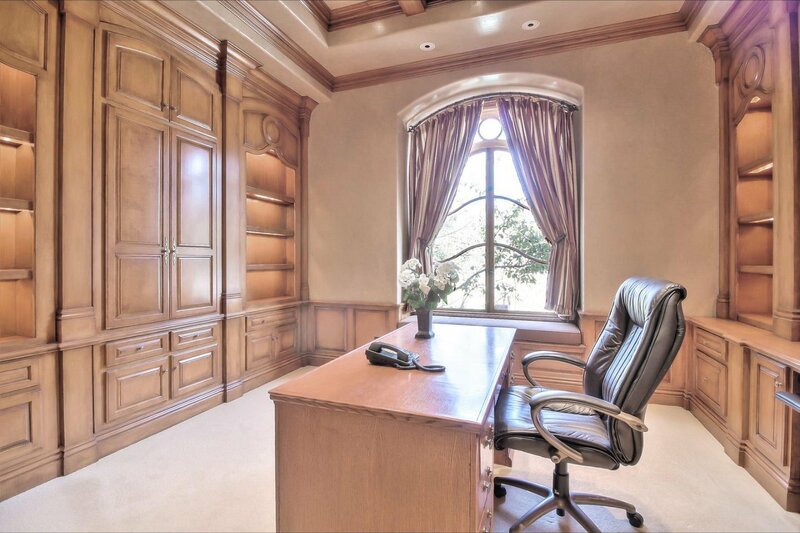 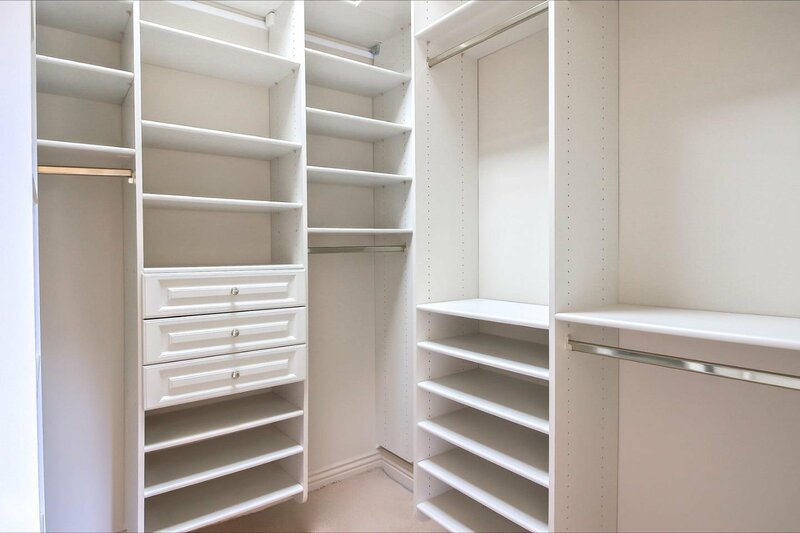 *Seller may consider trade *3 master bedroom suites + Huge bonus room + office* All suites w/ their own private setting* Inside the architectural details prevail: French Chateau windows & doors* imported marble* silk wall coverings* vaulted, coffered & arched ceilings* Wainscoting *ornate moldings* majestic pillars* gleaming skylights* Gourmet kitchen: custom cabinetry, Wolf cooktop, Sub Zero refrigerator, and so much more* Butlers pantry w/ 300+ bottle temp controlled wine cellar* Grand master bedroom suite features 2 marble bathrooms* Vantage lighting & sound system* Pebble Tec pool & spa, expansive terrace, outdoor kitchen & more views* Long private drive w/circular driveway + 6 car garage* Minutes to restaurants, shopping and the beach.